Watch out! The edge is a unique take, and modern upgrade, on the timeless 2-button notch tuxedo: it features a thick satin edge along the outer sides of the lapels. It's pretty slick. Also available in Navy and Chocolate. 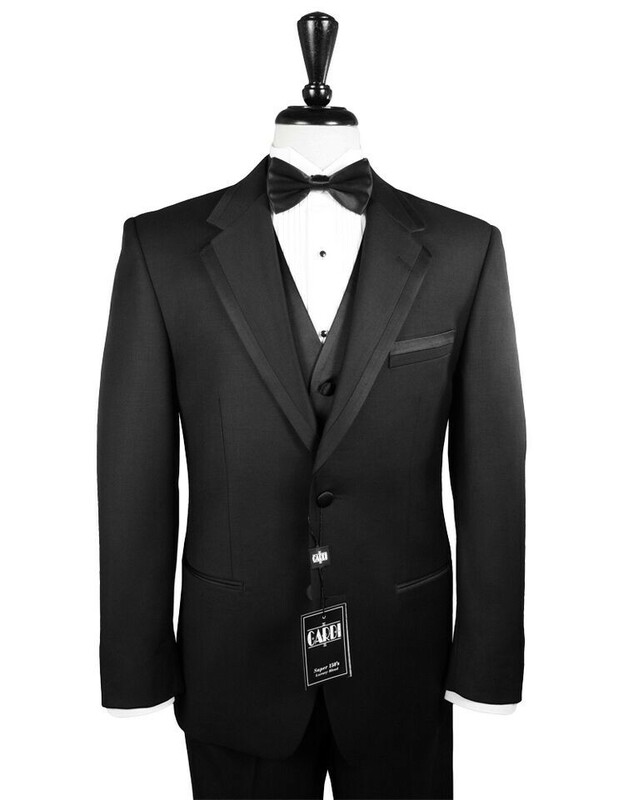 This tuxedo is for the modern, fashion-minded folks who want something that isn't a rehash of everything that has come before it. Crafted from awesome 150-thread fabric that is light and soft, and has a smart-looking satin edge along the lapels.